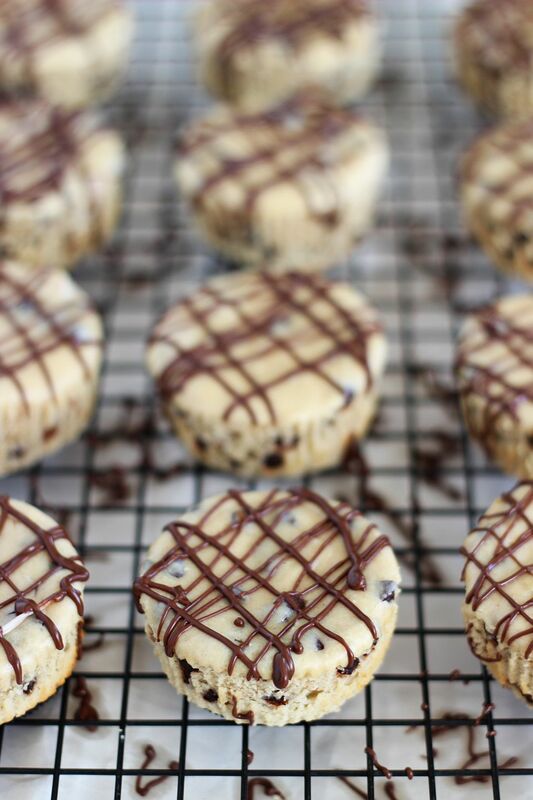 These mini peanut butter cheesecakes are filled with semi-sweet chocolate chips, peanut butter chips, and are baked atop a whole peanut butter Oreo cookie for a crust! I’m in love with Oreos. That wasn’t always the case, but they’ve grown on me more and more ever since the advent of the Golden Birthday Cake Oreos. That was the gateway Oreo that got me obsessed with all other Oreos, including Mint, Lemon, even Cookie Dough Oreos, and now Peanut Butter… of course. I still give the Berry-flavored ones a skeptical glance when I see them at the grocery store. Are those good?? And Root Beer? Um, despite a love of root beer as a beverage, that version of an Oreo does not sound appealing to me at all. Anyone have a verdict on those? And how is it that different flavored Oreos only became a thing just a few short years ago??? They needed to be invented a loooooong time ago. Thank goodness we live in an era with a multitude of unique Oreo flavors. 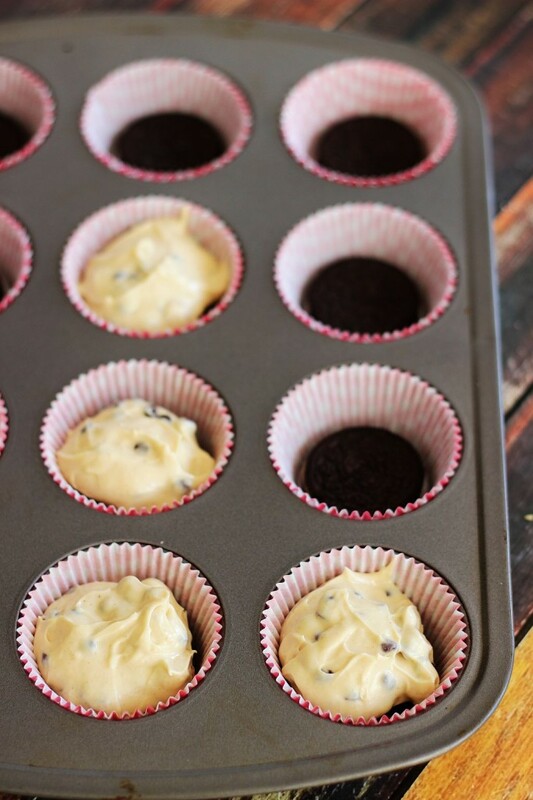 As my love of Oreos has grown in the last 1.5 years, so has my desire to make those mini cheesecakes with an Oreo for a crust. I’ve had the best intentions to make those for a while, but they’ve gotten away from me. When I tasted the Peanut Butter Oreos though, I knew they were perfect for it. 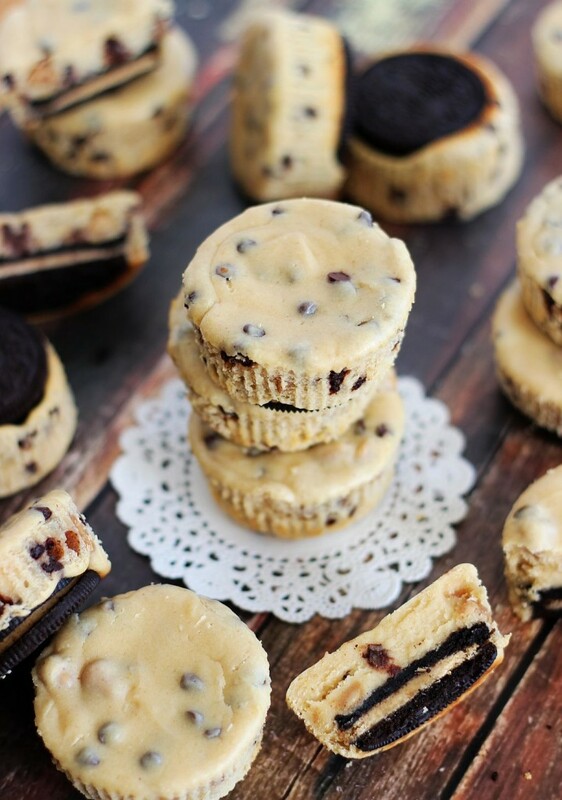 These Mini Peanut Butter Oreo Cheesecakes are blessedly simple and quick to throw together. 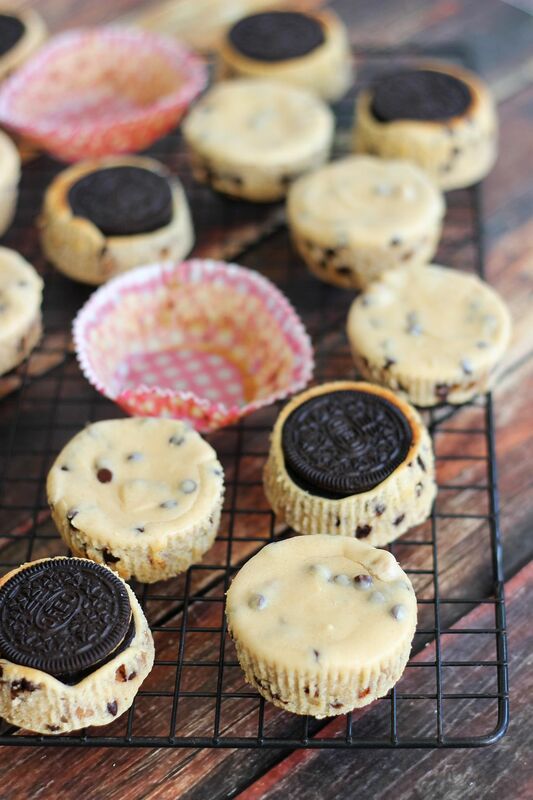 The crust is already made – plunk an entire Oreo cookie into the bottom of a paper cupcake liner, and you are done. It doesn’t get easier than that. 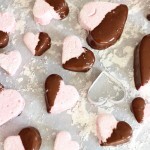 I used my favorite cheesecake recipe in the world as a base for the filling to these mini cheesecakes. 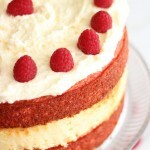 That recipe makes a creamy, rich, and dense cheesecake, without being too heavy. With some tweaking and adjustments, it was the perfect filling for these mini cheesecakes. It’s full of creamy peanut butter, peanut butter chips, and chocolate chips. 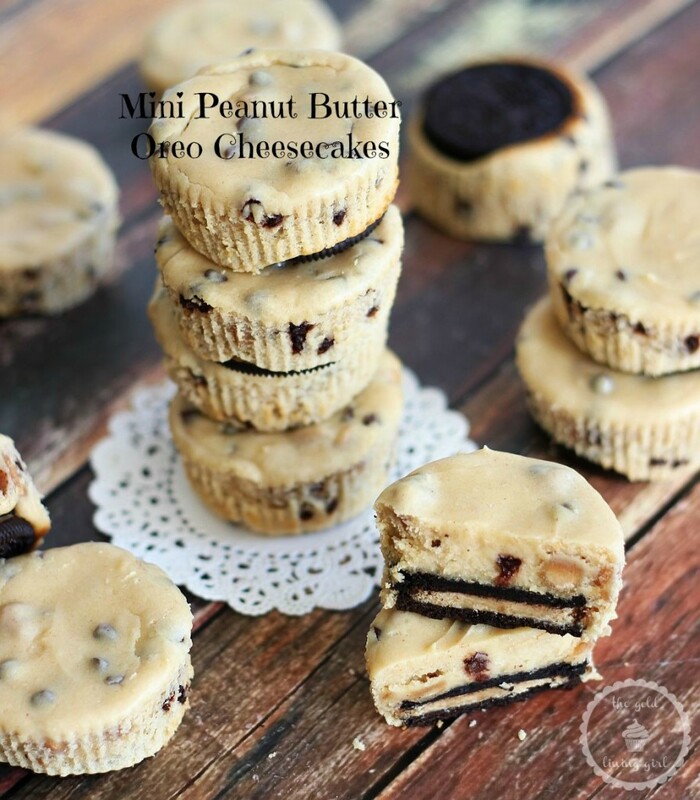 If there was any other way to stuff more peanut butter into these Mini Peanut Butter Oreo Cheesecakes, you know I would’ve done it. But with peanut butter filling in the Oreo, peanut butter-flavored cheesecake, and peanut butter chips, I was tapped out. If I forgot any other method for cramming PB in these, please fill me in. I’d hate to go through life knowing there was another way, but that I didn’t do it. That’d be terrible! Okay, these cheesecakes are calling my name. Seriously! Must have them in my life. Love peanut butter Oreos! So true! Cheesecake makes everything better!! Yes bring on more mini stuff, I am obsessed with them!! 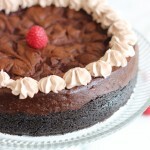 Love these cheesecakes Sarah, they look so delicious! Haha! You do seem to love mini stuff!! 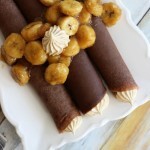 Wow, those look seriously amazing! 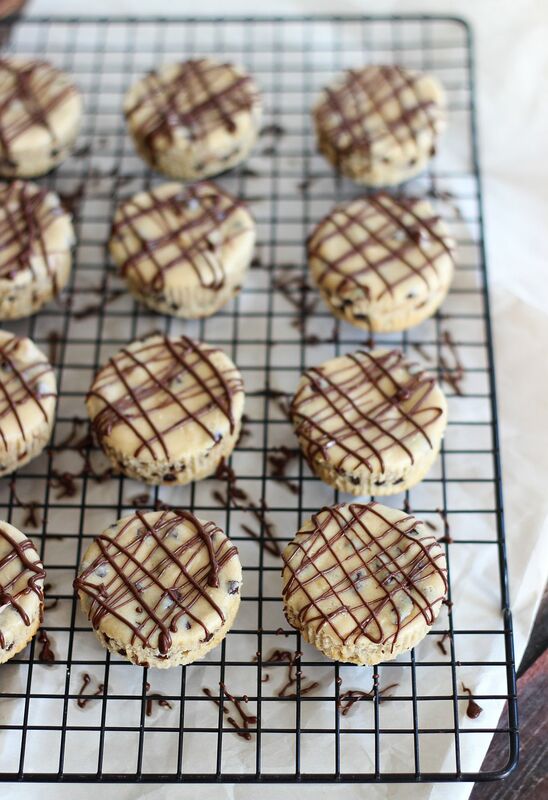 And….I wish we had PB oreos now. I feel I’ve been missing out now that I’m aware that that’s a thing. We have regular and golden here and I think that’s it. Root beer? Seriously?! Crazy. But these cheesecakes look fantastic! I know – can you believe all the flavors they have now? I hope they come to Canada soon for you!!! 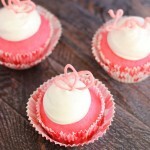 These mini cheesecakes are so so adorable! I love how much peanut butter goodness is jam packed inside – they are definitely a peanut butter and chocolate lover’s dream come true! Yum! Just wondering, how long before the oreo cookies lose their crunch? I love oreos, but not soggy or stale. I have a few other Oreo Cheesecake recipes, and I’ve not noticed that they get stale or soggy if you store them well, but I can’t say for sure, it’s been a few years since I’ve made them. I’m sorry. If you try these, let me know how they work out for you. Thanks, Barbara! I hate that no one seems to have made them, only comment on thoughts. Yes, I’m sorry about that. Not a whole lot I can do about that, unfortunately.